Before the creation of Adam, there was the Lord God. He formed man according to His wisdom and shaped Him with hands of love. And then into that lifeless form, He breathed the breath of life. From that one man, He took a rib and formed a partner for him. Together, they united and new life came. Each child born since then also bears the image of God. Little babies arrive and the same breath of life that filled Adam continues on in them. Though the parents age and die, the life continues in each new generation. But in each child since Adam, there has been a flaw – we call it “original sin.” The man disobeyed God and a rift came between the two. Instead of the delight of Eden, there came the woes of thorns and thistles. In place of fellowship, there arose strife. Where there was once access to the Tree of Life, there was the promise of the expiration of the breath of life. Were this to be the final lot of man, it would be a vapid, purposeless existence; let us eat and drink, for tomorrow we die. This is the Christmas story and He is the Child of Christmas. Hands handled Him, ears heard His voice, eyes gazed upon His veiled glory and they believed. Today, we too can participate in the unfolding story of the wondrous Lord who loved His people so much that He came and dwelt among us. We too can witness concerning the Word of life. Let us carry in our hearts the Child of Christmas throughout the year and let us never shrink back from the bold proclamation that Jesus Christ is Lord. Yes, Glory to God in the highest, and on earth peace, goodwill toward men! Jesus has come. 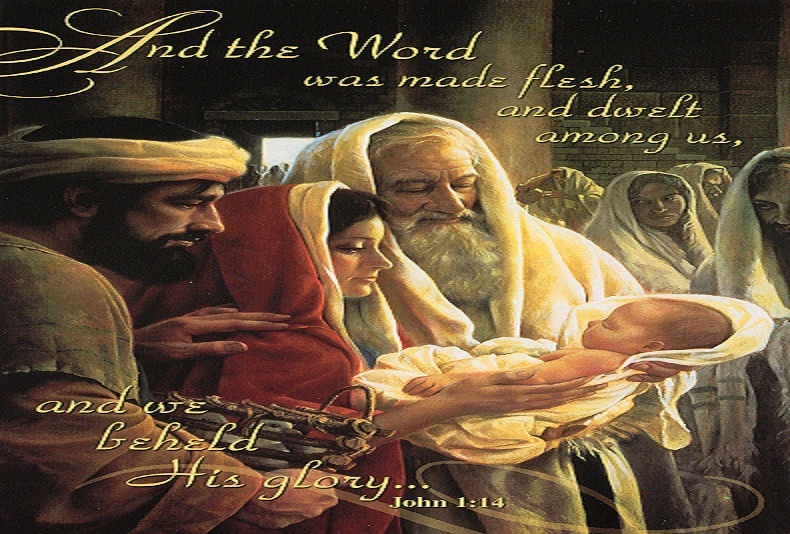 Lord God Almighty, today I receive the greatest Gift of all; I receive the Child of Christmas. Renew in me this day the deepest desire to commit to honor Him all my days. Give me boldness to proclaim that Christ has come into the world He created. The Babe in the manger is the incarnate Word, my Lord Jesus. Glory to God in the highest for this marvelous thing You have done. Amen.